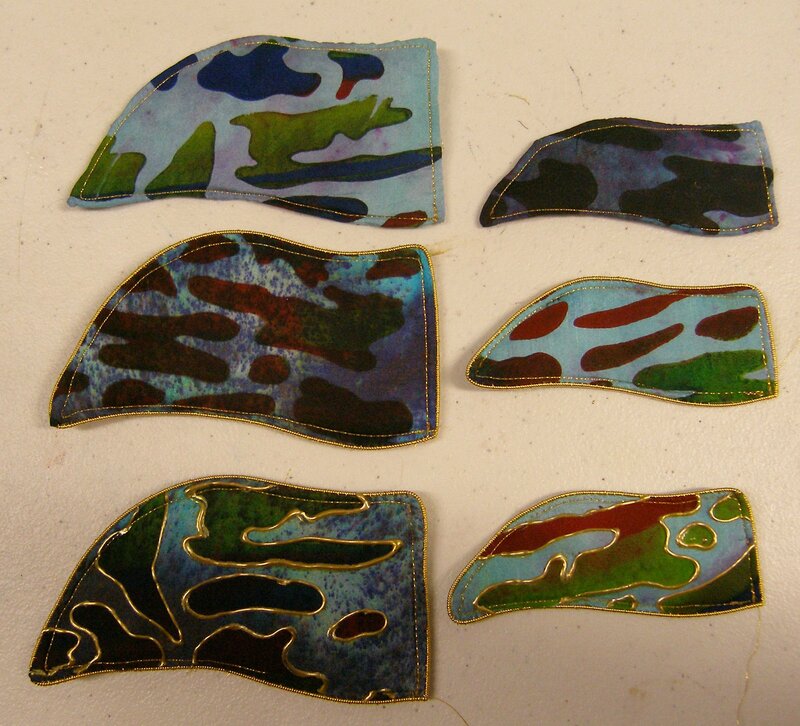 I’ve now done my samples and planned the final neckpiece so it is time to start making the individual elements for it. First I took my paper mock up of the neckpiece and worked out the number of large and small wings needed and the directions they faced. 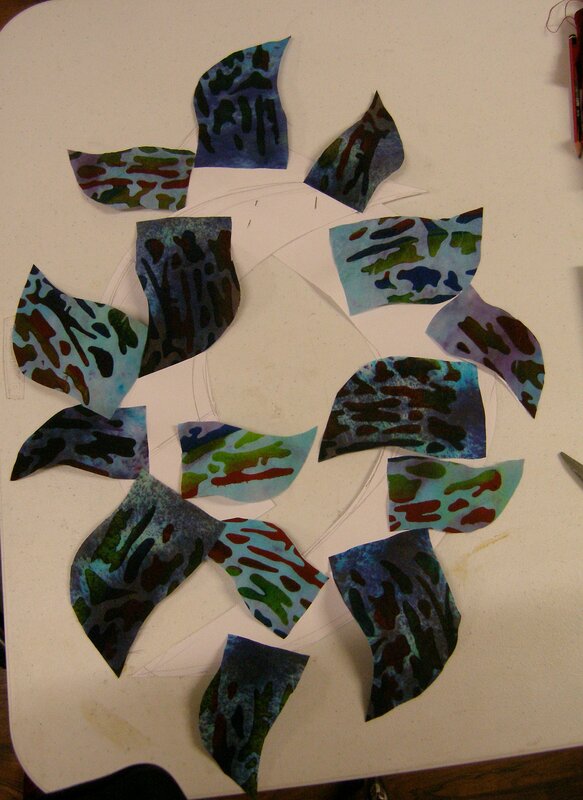 I made a clear pattern so I could check the design of each piece before it was cut, then I cut out the required pieces. I played around with the layout of the colours on the paper pattern until I had a pleasing arrangement and took a photo of this so I could refer back to the placement when it came to time to assemble the neckpiece. The wings were then constructed by cutting pieces the right size in Wireform and padding, placing the printed material on top and tacking in place. A line of machine stitching in gold metallic thread held the sandwich together. Next I stitched Gilt Pearl Purl No 2 around the outer edge, then used Liquid Pearls to outline the printed pattern. Finally a piece of black velvet was glued onto the back of each wing to neaten the back. The photo below shows wings in different stages of construction.